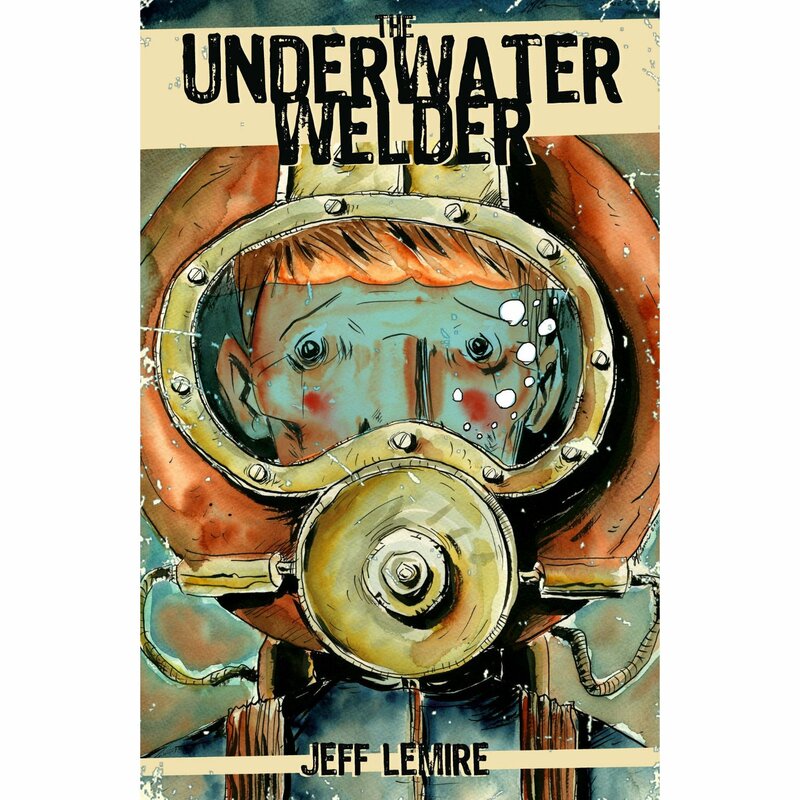 AMAZON CANADA PICKS UNDERWATER WELDER AS BEST GN OF 2012! 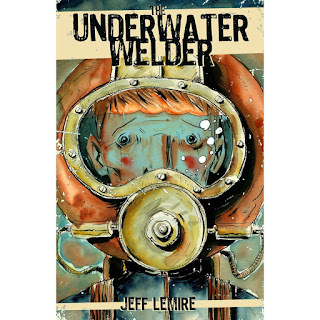 Amazon Canada has chosen THE UNDERWATER WELDER as the BEST GRAPHIC NOVEL OF 2012! The book is now listed at 39% off for canadians and is also available through TOP SHELF PRODUCTIONS. 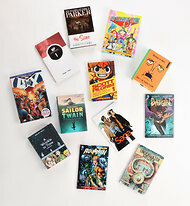 The Underwater Welder and Sweet Tooth have both been included in The New Yortk Times' list of Graphic Novels for their 2012 Gift Guide! Sweet Tooth Vol.5 laso made the New York Tines Graphic Novel Bestseller's list this week! 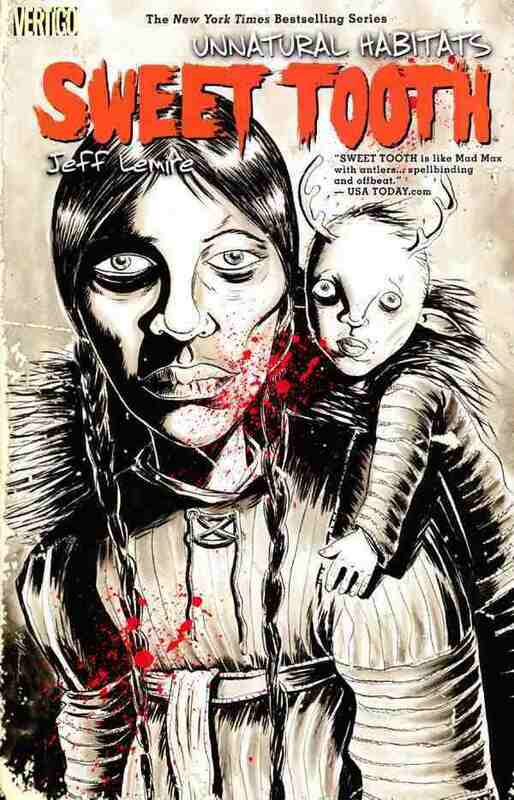 "I’ve come to anticipate any new work by the cartoonist Jeff Lemire with excitement. ‘THE UNDERWATER WELDER’ (Top Shelf, $19.95) is about a deep-sea welder coming to terms with fatherhood. The characters are completely relatable and so visually expressive that the words are almost redundant. Similarly engrossing is Mr. Lemire’s ‘SWEET TOOTH’ series, now on Volume 5, from the DC Comics imprint Vertigo, about a post-apocalyptic world populated by human-animal hybrids." The Underwater Welder has been chosen as one of AMAZON'S Top Graphic Novels of 2012! You can see the full list here (which also includes books by my friends Scott Snyder, Jeffrey Brown and Brian Azzarello). The Underwater Welder can be ordered from AMAZON here or From Top Shelf at their site. GREEN ARROW 17 Now Available For Pre-Order! Issue 17 will be my first issue as the new writer of GREEN ARROW. It will also be a totally accessible jumping on point for new readers, so make sure you ask your local comic book store to reserve you a copy! A couple of recent links I thought I'd share. 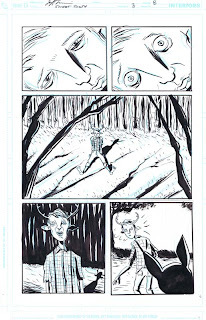 The DC Comics Blog posted "5.2 Reason s Why Jeff Lemire Rocks" yesterday, and who am I to argue. You can check it by clicking out here. It was a sunny day in late July, a few days after I’d returned home from San Diego Comicon, and Dan Didio had called me. I had talked to Dan at Comicon about what I would write next. We had bounced a few things around at the Con, but nothing stuck. So when Dan called that afternoon, I wasn’t sure what to expect. When he asked me, “How about Green Arrow?” I paused. Oliver Queen was never a character I’d had any particular affection for. I love DC comics and love DC characters, but Green Arrow was never one of the guys I gravitated towards. Yet, for some reason, as soon as Dan said it, something sparked in my head. At that moment, I wasn’t sure why, but something told me this was exactly the kind of book and kind of character I was searching for. Green Arrow is a character that always has the potential to be a major player in the DCU. 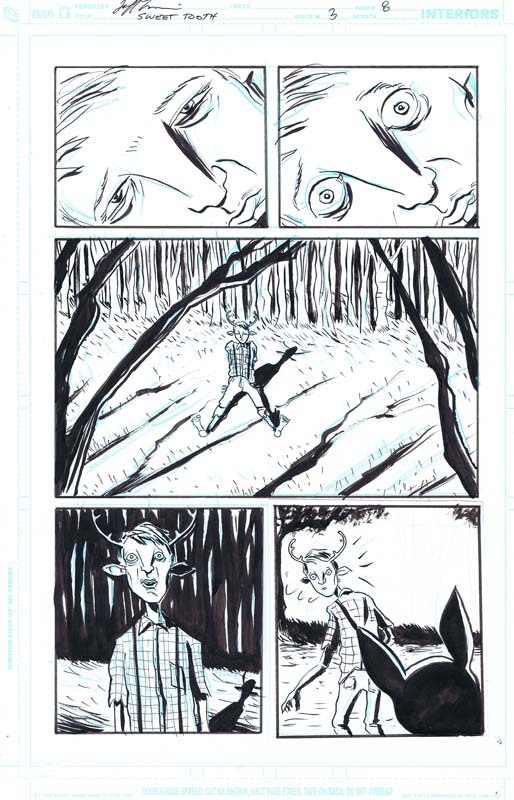 When I took on Animal Man, I immediately saw it as a chance to do my version of the classic Vertigo horror/superhero books I loved as a teenager. And, similarly, the first thing I thought of with Green Arrow was a chance to do a really hard hitting, crime/superhero book in the tradition of Mike Grell’s classic run on the character or Denny O’Neil’s The Question comics from the late 80’s early 90’s. Quite simply, I wanted to make Green Arrow a hunter again. A street level hero of the gutters caught up in a world of violence, betrayal and conspiracy. My ever growing plans for the book will build a huge new mythology around Green Arrow’s legacy and send him across the globe, all the while trying to stay one step ahead of a deadly new cast of villains with mysterious ties to his past. And I knew that if I wanted to pull it off, I’d need one hell of an artist, someone who could match the new vision for Green Arrow that I was after. Andrea Sorrentino’s stark and beautiful artwork on I, Vampire had caught my eye last year when I was looking at preview copies of the New 52 books. And, I’ve continued to follow him ever since. While his work is perfectly suited for the horror vibe of Vampire, I thought that putting him on a character like Green Arrow would create an amazing tension and a really unique take on a DCU superhero. And boy, was I right. His work so far in Green Arrow has been the absolute best of his career. This is one beautiful looking comic book. It really is a brand new day for The Emerald Archer. I’ve fallen in love with writing this book and this character. I can only hope that a fraction of the excitement that both Andrea are feeling while working on Green Arrow translates onto the page and you’ll give the book a chance come February when our first action-packed arc, THE KILL MACHINE debuts with Issue #17. I intend to hurt Oliver Queen. Strip him down to the bone and force him to rise up and become the hero he was destined to be. I hope you come along for the ride. I'm The new Writer of GREEN ARROW! As announced this morning on MTV, I will be taking over as the writer of DC Comics monthly GREEN ARROW series with Issue 17 in February! 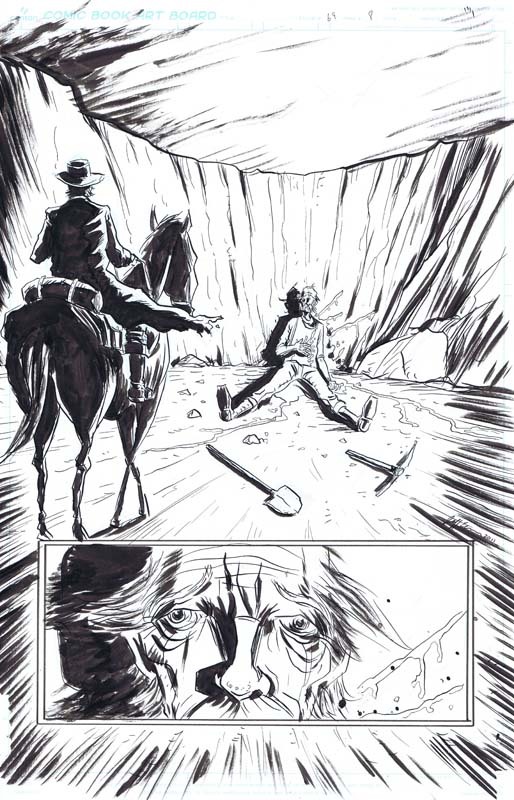 Joining me as the series' new artist will be the incredible Andrea Sorentinno (I Vampire). I couldn't be more excited about the character and the series and have a bold new direction for the book planned. Keep an eye on DC's Blog THE SOURCE later this afternoon for more details on what I have planned as well as an exclusive first look at Andrea's art for the series!